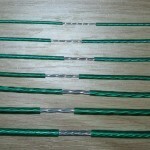 Cable made of 3 or 7 strands of a special steel alloy , galvanized to 3% and then coated with anti-frost and anti UV PVC. 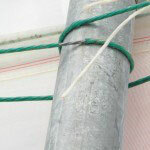 In 8 different SIZES, produced for covering every specific demand of the agriculturist lightness e strength, AGROFIL weight par kgs 3-5 times less than traditional steel wire. 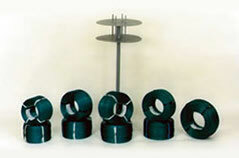 For example for 200 metros, a coil of Agrofil weights only 3.6 kgs against the 18,70 of traditional steel wire. 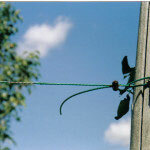 Used in a common way, Agrofil has a reduced elongations under-tension. 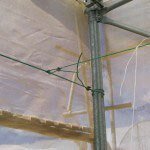 This means that thanks to his load resistance there are no ultimate strength. AGROFIL is guaranteed against the weather and the corrosion for 20 years from the assembly; even if our long experience (the first systems go back to 1974) make us to assert that it can resist also 30 years easily. 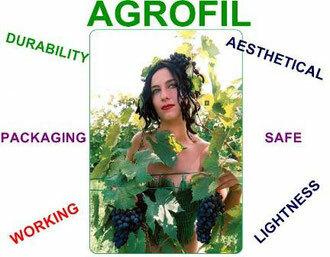 AGROFIL is particularly malleable. 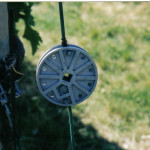 It allows easy mounting operations without clips. 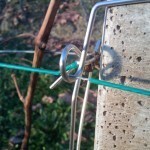 AGROFIL has a development from 3 to 5 times superior to that of the traditional wire for vineyard with which is compared. 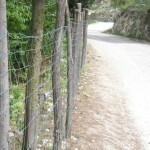 This particolra feature decreases the time of the Planting Achievement riducing the costs of manpower.. 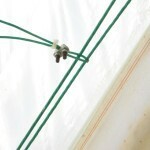 It can be assembled without the need of "cicchetti". AGROFIL has an reduced elongation, normally about 1,5 and 3% (against a 10-20% of the various types of traditional wire for vineyard), according to the model and the weight of the vegetation that must substain. 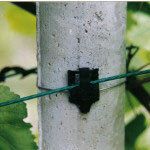 AGROFIL is made with PVC at high resistance, antifreeze and anti UV. Bright and semitransparent green color preserves it for 6 - 8 years from the oxidation. 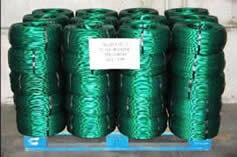 AGROFIL is manufactured in coils decided by the customer; it is stackable on Europallet, from 500-1000 mt. This is a benefit for the Stocks in the Wharehoues as well. 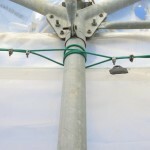 Thinking about the fewer wire volumes in the store, there are a consequent reduction of the costs of management, assemblage. We can assert that AGROFIL allows to save on the costs of assemblage, maintenance and store and has indeed a cheap cost to linear meter! Coil packing m. 1000 Weight kg. 7 ca. Coil packing m. 1000 Weight kg. 10 ca. Coil packing m. 1000 Weight kg. 17 ca. Coil packing m. 1000 Weight kg. 19 ca. Coil packing m. 500 Weight kg. 20 ca. Coil packing m. 500 Weight kg. 23 ca. Coil packing m. 400 Weight kg. 30 ca. Coil packing m. 250 Weight kg. 25 ca. Decoiler composed by two overlapped disks, separated by 4 adjustable spacers and a pointed pick. Entirely in thick iron. Free packing. FEEL FREE TO ASK AN ESTIMATE!